Lipu (a county in the south of Guilin Prefecture) taro root got its fame early in Qing Dynasty. Then it was always one of the tributes to the royal family due to its nutrition and special flavor. 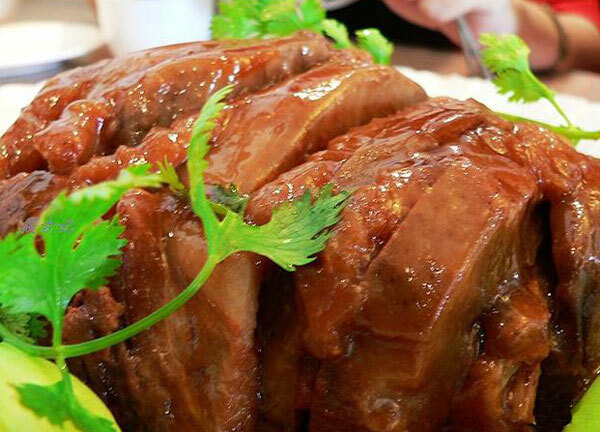 Lipu Taro and Pork Loaf is a famous traditional dish of Guilin. This dish, which is popular at weddings and other celebrations, gets its name from Lipu (a county in the south of Guilin Prefecture). It is made with Lipu taro root and streaky pork with fat and skin. The pork and taro cubes are fried separately and then steamed together with the mashed onion, preserved cooking wine, sugar and other condiments. So each piece is golden on the outside and soft and flavorful on the inside.